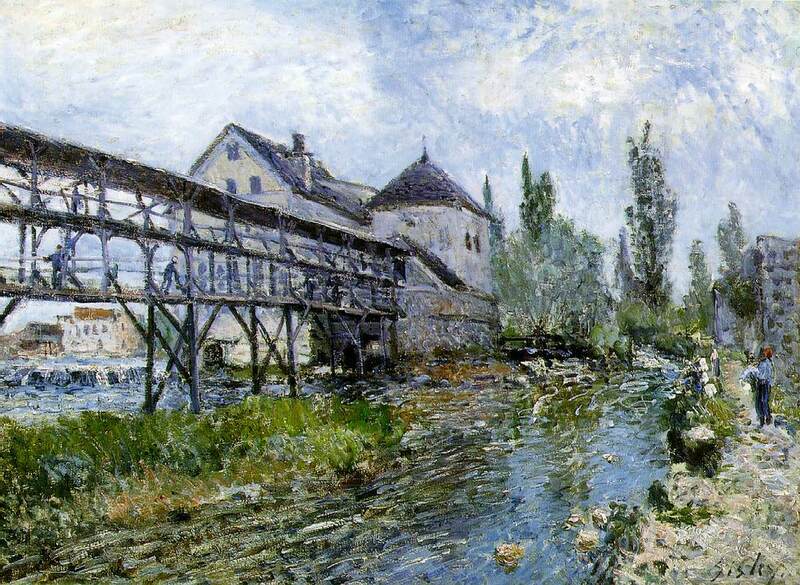 Sisley, Alfred (b. Oct. 30, 1839, Paris, Fr.--d. 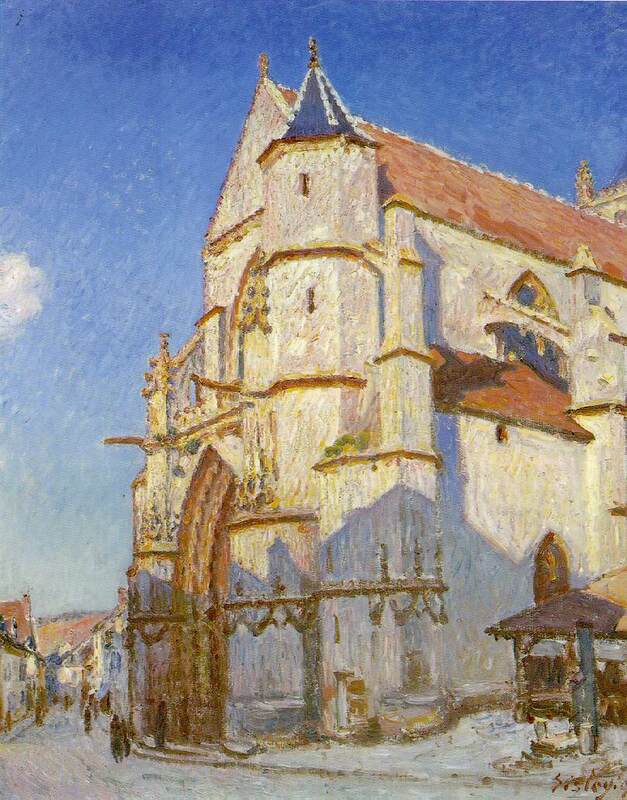 Jan. 29, 1899, Moret-sur-Loing), painter who was one of the creators of French Impressionism. 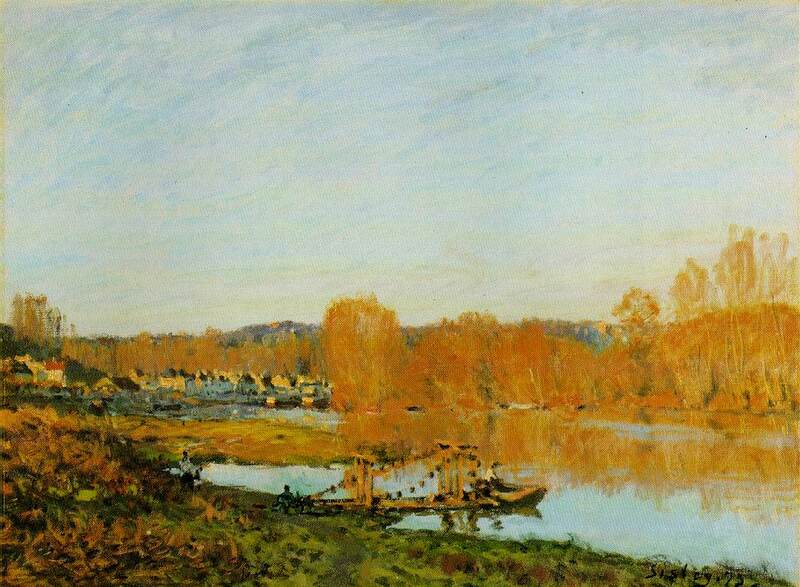 Sisley was born in Paris of English parents. 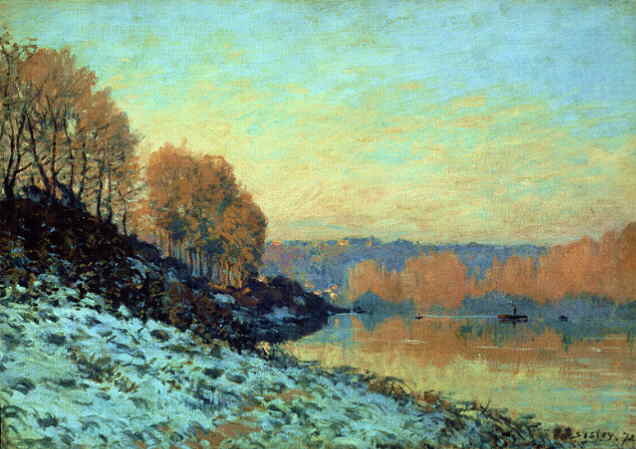 After his schooldays, his father, a merchant trading with the southern states of America, sent him to London for a business career, but finding this unpalatable, Sisley returned to Paris in 1862 with the aim of becoming an artist. 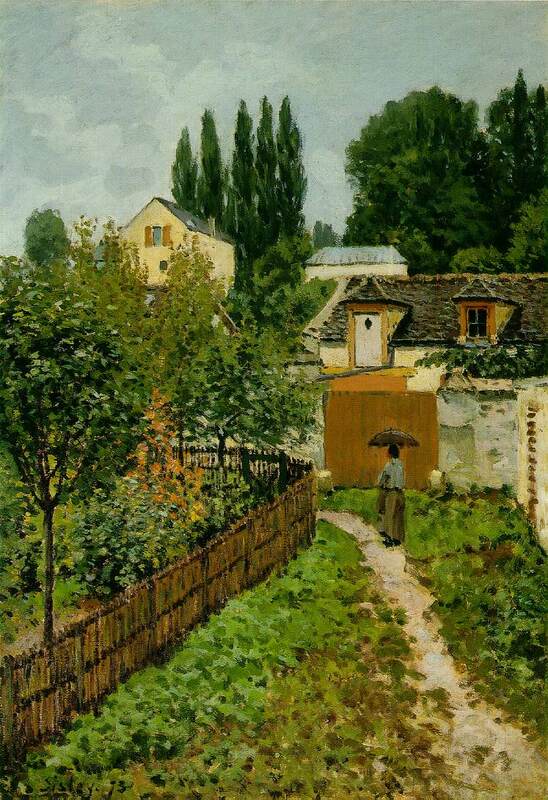 His family gave him every support, sending him to Gleyre's studio, where he met Renoir, Monet and Bazille. 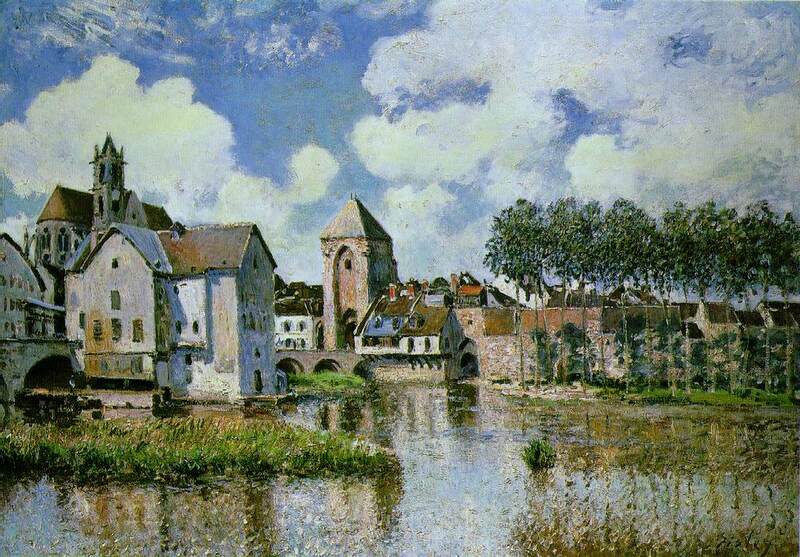 He spent some time painting in Fontainebleau, at Chailly with Monet, Bazille and Renoir, and later at Marlotte with Renoir. His style at this time was deeply influenced by Courbet and Daubigny, and when he first exhibited at the Salon in 1867 it was as the pupuil of Corot. 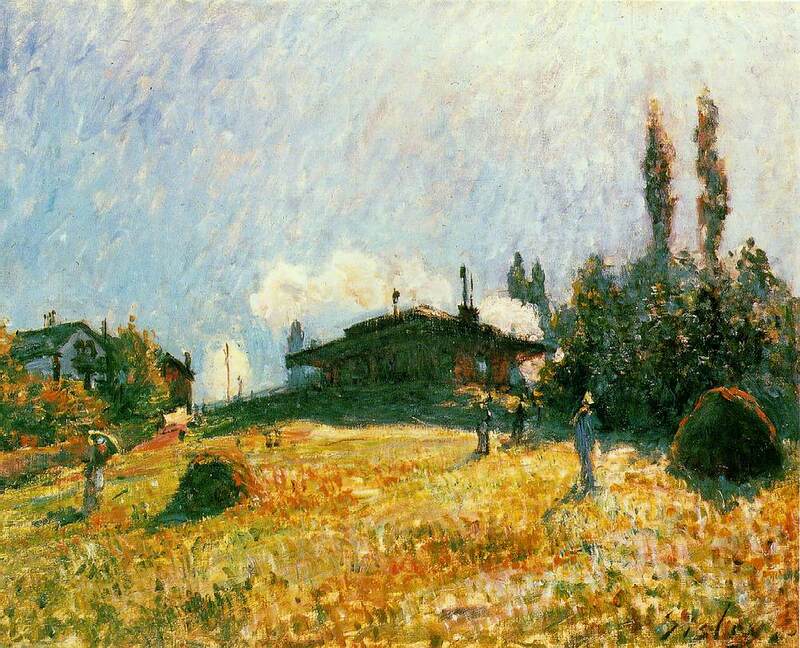 By this time, however, he had started to frequent the Café Guerbois, and was becoming more deeply influenced by the notions which were creating Impressionism. 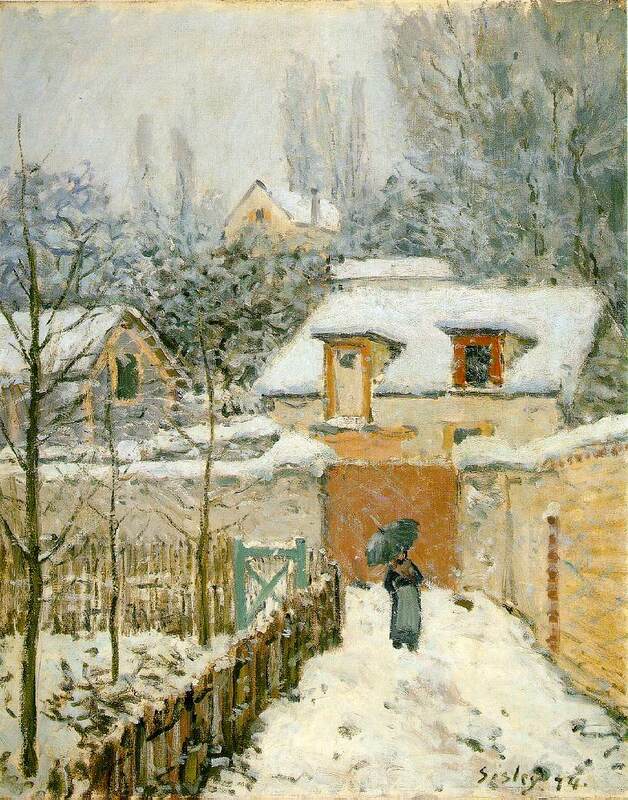 During the Franco-Prussian war and the period of the Commune, he spent some time in London and was introduced to Durand-Ruel by Pissarro, becoming part of that dealer's stable. 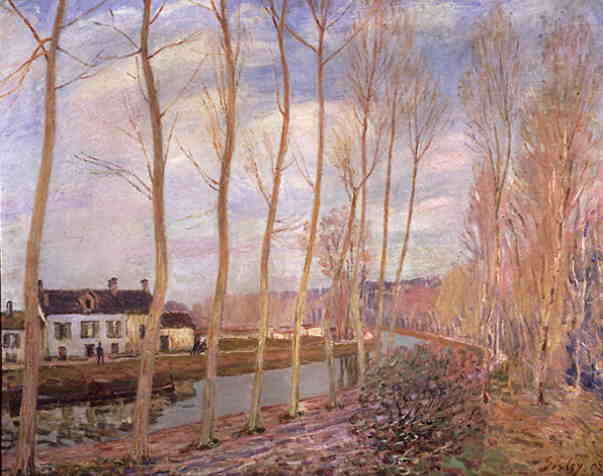 In the mean time, his father had lost all his money as a result of the war, and Sisley, with a family to support, was reduced to a state of penury, in which he was to stay until virtually the end of his life. He now saw himself as a full-time professional painter and part of the Impressionist group, exhibiting with them in 1874, 1876, 1877 and 1882. His work had by this time achieved complete independance from the early influences that had affected him. 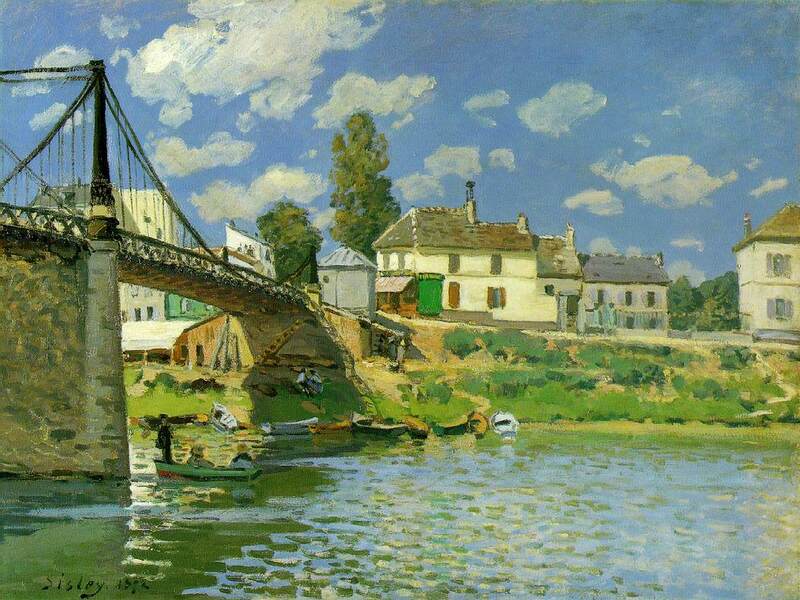 In the 1870s he produced a remarkable series of landscapes of Argenteuil, where he was living, one of which, The Bridge at Argenteuil (1872; Brooks Memorial Gallery, Memphis, USA) was bought by Manet. 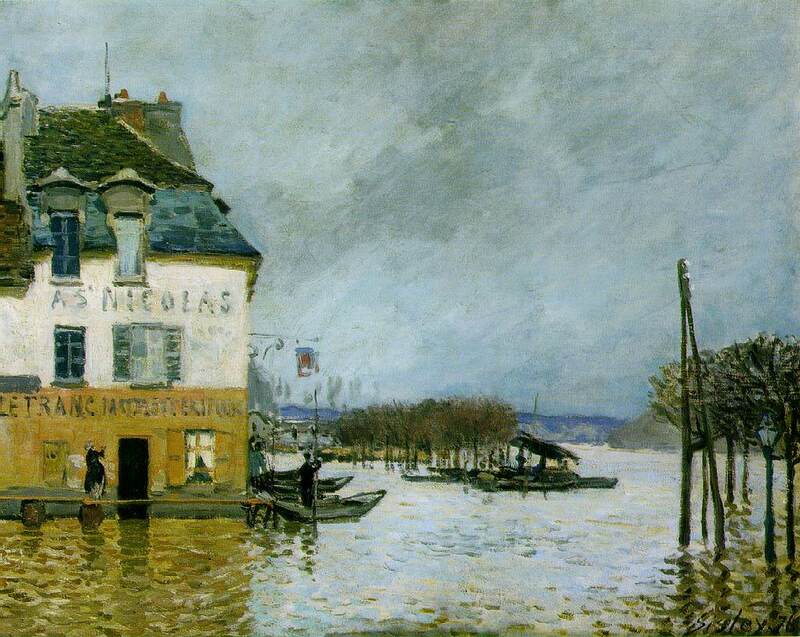 Towards the end of the decade Monet was beginning to have a considerable influence on him, and a series of landscape paintings of the area around Paris, including Marly, Bougival and Louveciennes (1876; Floods at Port-Marly , Musée d'Orsay), shows the way in which his dominent and evident lyricism still respects the demands of the subject-matter. From his early admiration for Corot he retained a passionate interest in the sky, which nearly always dominates his paintings, and also in the effects of snow, the two interests often combining to create a strangely dramatic effect (1880; Snow at Véneux ; Musée d'Orsay). 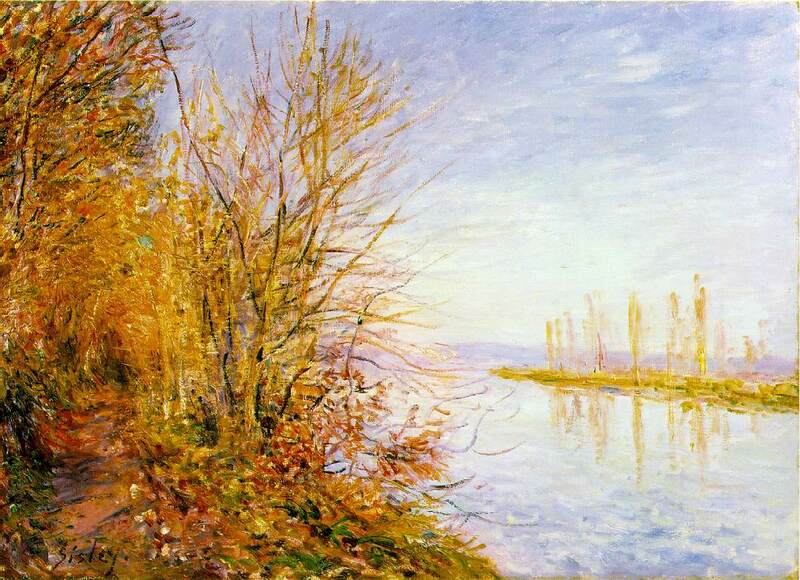 Naturally different, he did not promote himself in the way that some of his fellow Impressionists did, and it was only towards the end of his life, when he was dying of cancer of the throat, that he received something approaching the recognition he deserved.